Ability – do they have money/support to give? Belief – do they care about your issue/cause? Also important is to decide who will represent your organisation in the external environment. These reflections should hopefully help to inform the strategies you need to employ to steward relationships at different levels. Click here for ideas on stewardship at different tiers. 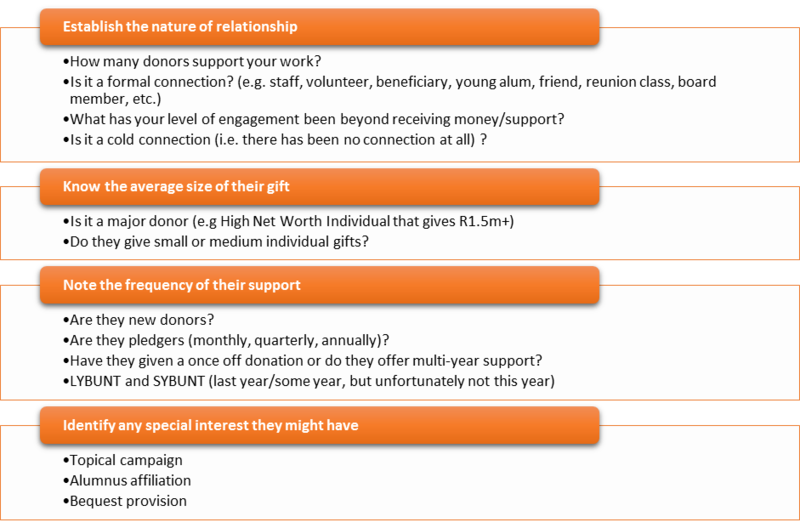 Adapted from the 2014 Inyathelo Advancement Academy Presentation on Individual Giving Presentation; presented by Meaka Biggs and Stephanie Sluka Brauer.